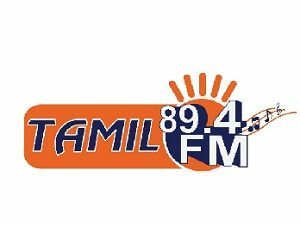 Tamil 89.4 FM Dubai Live Online . Listen over 100 Tamil radio stations online . Dubai’s newest and finest radio station set to entertain and connect you with local Tamil buddies (aka RJs) and of course, namma Tamil roots . It broadcasts Tamil Songs , Talk Shows 24 by 7 Online . Address : Aaren World Media & Advertising LLC , P.O.Box: 34722, Bur Dubai ,Dubai, UA.E .